I read through an article that talked about the weight that a name may carry if it is passed on from generation to generation. It is like carrying the karma of the other person whom you were named after. This made me reflect on my name and the fact that, growing up, I never felt like it fit me because it wasn’t unique like I felt I was. After reading this article it made me think more about my legal name ‘Maria’ and who it comes from and all the women I know who are also named the same. I also read the meaning of the name and did not like it, so after much reflection I decided to try out a new name without legally changing my birth name. I asked my higher being for a new name and ‘Joy’ is what was given to me. I got the answer I sought; however taking the step towards actually changing my name was more difficult than I had anticipated. It’s like being reborn again, celebrities do it all the time, however I found it challenging to divorce something which I’ve known all my life and adopt something new, a new name which I will create a new life with and lead differently. 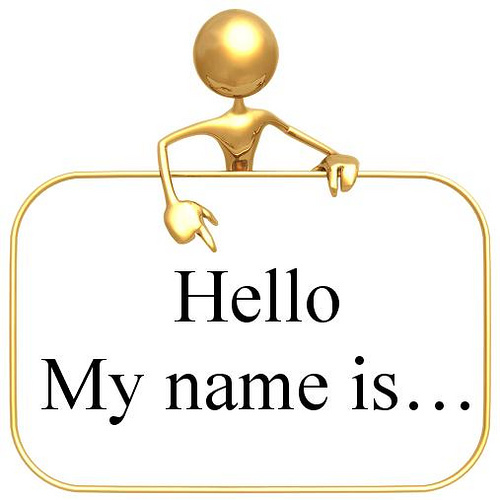 It’s not like if it’s permanent, nothing in this world is permanent, I’m sure that I’ve lived at least one hundred other life times with different names; the difference is that I am consciously choosing a new name as an adult, something that will serve me better. That is why I decided to change my name; I want something to serve my higher being. I am Joy. Joy is a very meaningful name. I celebrate you choice.